Michael George Ansara, a Syrian-born American stage, screen, and voice actor best known for his portrayal of Commander Kang on three different Star Trek series has passed. He was 91. 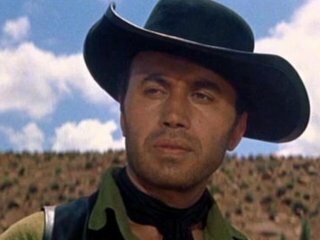 Ansara began acting in the 1950's and appeared in westerns - including The Lone Ranger  - on both the big screen and small before starring in his own TV show Law of the Plainsman playing Native American U.S. Marshal Sam Buckhart, a spin off character from The Rifleman. Ansara appeared in the biblical movies The Ten Commandments and The Greatest Story Ever Told as well as the 1953 adaptation of Shakespeare's Julius Caesar but he had a more distinguished career on TV appearing in many Television series in production throughout his career. These included The Untouchables, The Fugitive, Hawaii Five-0, The Streets of San Fransisco, Shaft, Mission: Impossible, The Rockford Files, Kojak, CHiPs, The Fall Guy, Mike Hammer and Murder, She Wrote. Despite a career forged in the dust of westerns, it will be through the genre of science fiction that Ansara's name will be remembered. In 1961 he played scientist Miguel Alvarez in Irwin Allen's groundbreaking movie Voyage to the Bottom of the Sea and followed the role by appearing in the later spin-off series. His career in sci-fi continued with an appearances on Lost in Space, The Time Tunnel and as Killer Kane in Buck Rogers in the 25th Century. He also played the title role in the acclaimed The Outer Limits original series episode "Soldier", written by Harlan Ellison and later in his career he portrayed the Technomage Elric in an episode of Babylon 5. In 1968 Ansara took on the mantle of arguably his most memorable character, the Klingon Commander Kang in the 3rd season Star Trek episode "Day of the Dove". 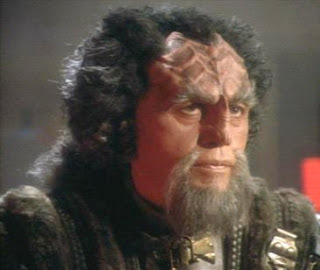 To the delight of fans, Ansara reprised his character some 25 years later in "Blood Oath", an episode of Star Trek: Deep Space Nine and even later in "Flashback" an episode of Star Trek: Voyager making him one of only seven actors to play the same character on three different Star Trek series. Ansara also appeared [sans Klingon makeup] as Jeyal, Lwaxana Troi's husband on the Deep Space Nine episode, "The Muse". Ansara also lent his voice to various animated productions including Spider-Man and his Amazing Friends and Thundarr The Barbarian. He later portrayed General Warhawk in the Rambo animated series but it was for his work on various incarnations of Batman's animated adventures that his voice work will be most regarded. In 1992 Ansara began voicing Victor Fries/Mr. Freeze on the Batman animated series, later in the 1997 The New Batman Adventures, Batman Beyond in 1999 and the video game Batman: Vengeance. Ansara bestowed a level of humanity to the villain, allowing the audience to empathise with Fries' plight which no other medium even attempted. Ansara married actress Barbara Eden in 1958 and appeared with her in an episode of I Dream of Jeanie. He died following a long illness at his home in Calabasas, California and is survived by Beverly, his third wife for 36 years.